For over 30 years, Mr. Sparer has successfully represented individuals and businesses in litigation involving securities, contract, insurance, real estate, probate, and trust matters. Since founding SLG, Mr. Sparer has obtained over $200 million in settlements, judgments, and recoveries on behalf of securities investors. See RESULTS. Mr. Sparer also leads an SLG team that has successfully represented financial professionals and hedge funds before the SEC, FINRA, and the California Department of Business Oversight. See SECURITIES REGULATION & LITIGATION. Over the years Mr. Sparer has regularly represented trustees, special administrators, and beneficiaries involved in sensitive and often confidential trust disputes and probate matters. In 2008, Mr. Sparer and SLG represented City College of San Francisco in overcoming the final land use and environmental challenges to the construction of a new campus in San Francisco’s Chinatown District. Mr. Sparer has been honored for his pro bono service, which includes impact litigation on behalf of World War II veterans exposed to radiation during America’s atomic weapons testing program, litigation on behalf of resident Vietnamese fishermen seeking the right to own and pilot fishing vessels in California coastal waters, and defense of UC Berkeley students facing expulsion for participating in peaceful anti-apartheid protests. AV Preeminent Peer Review Rated, Martindale Hubble. 2008-2010 & 2014-2018 Northern California Super Lawyers. 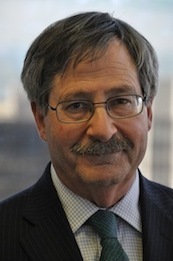 Howard, Rice Law Firm (now Arnold & Porter Kaye Scholer, San Francisco), Director, 1986-2003. North Carolina State University at Raleigh, Assistant Professor of Philosophy, 1975-1979. In re Oppenheimer Rochester Funds Group Securities Litigation, 318 F.R.D. 435 (D. Colo. 2015) (Order granting lead plaintiff's motion for class certification and appointment of class representative and class counsel). In re Oppenheimer Rochester Funds Group Securities Litigation, 838 F. Supp. 2d 1148 (D. Colo. 2012) (Order denying motion to dismiss class action against manager and trustees of Oppenheimer California Municipal Bond Fund). Rafton v. Rydex Series Funds, No. 10-cv-01171, 2011 WL 31114, 2011 U.S. Dist. LEXIS 707 (N.D. Cal. Jan. 5, 2011) (order denying motion to dismiss class action, and rejecting loss causation defense). Switzer & Sons LP et al. v. Deutsche Bank Securities, Inc. et al. 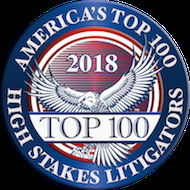 (NASD Arbitration 2006) ($5.8 million arbitration award arising from the marketing and sale of CDOs, private equity funds and other structured investments). In re Atomic Testing Litigation, 820 F.2d 982 (9th Cir. 1987) (discretionary function exception to the Federal Tort Claims Act). In re Wedtech Securities Litigation, 81 B.R. 237 (S.D.N.Y. 1987) (bankruptcy jurisdiction in cases involving related federal court proceedings). In re Wedtech Securities Litigation, 87 B.R. 285 (S.D.N.Y. 1988) (bankruptcy recognition of unresolved securities claims). Vietnamese Fisherman Association of America v. California Department of Fish & Game, 816 F. Supp. 1468 (N.D. Cal. 1993) (preemption of federal environmental regulation over state ballot initiative). Pietrelli v. Peacock, 13 Cal. App. 4th 943 (1993) (enforcement of health care arbitration agreement as to not-yet-conceived child).